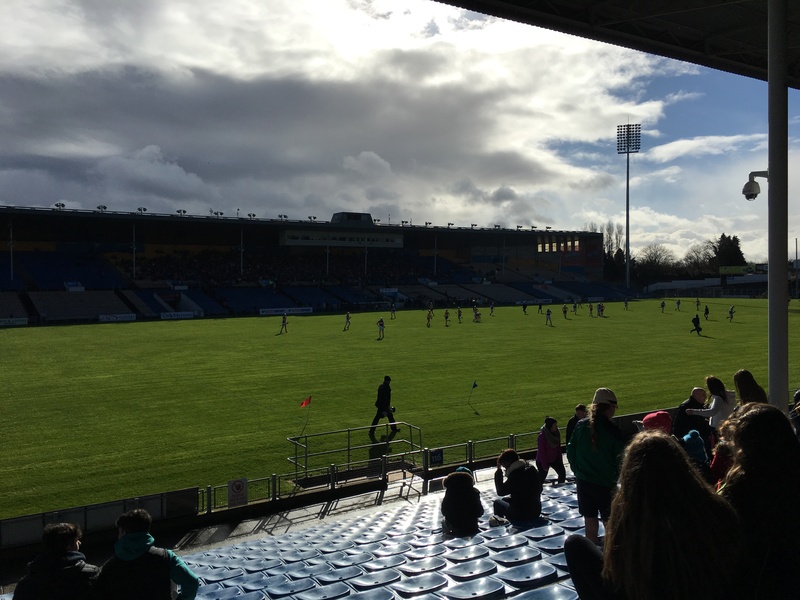 Hurling, an Irish national pastime …Ireland Day 4. Ok so let’s talk about Hurling. Have you heard of it? I had but have never seen it until I was in Ireland. It is the national pastime of Ireland and has been played for over 3,000 years. Hurling matches take place almost year round, depending on what tournament they are involved in and what time of year it is. So let’s dive in. Now I like sport. I enjoy attending sporting events of all kinds. I like the feel of being in a crowd of spectators who are passionately cheering for their team. It’s a great time to be social and meet new friends. Now when you go to a hurling event it really doesn’t seem to matter where you sit, in my opinion. Now many Irish will read this and disagree but this is my perspective and that’s what I’m writing about. Hurling pits two teams of 15, try to score as many points a possible by either hitting a sliotar (ball) with their hurley (stick) over the goal (1 point), between two posts or in the goal (3 points). Team members do not wear any protective gear except for helmets. Now the game isn’t that hard to follow. It’s similar to American field hockey, except that players can catch and run with the ball in their bare hands. However they cannot throw the ball or pick it up off the ground with their bare hand. The match consists of two 35 minute halves on the more advanced levels. According to my friend Mick, if Ireland didn’t have Hurling they would certainly have a soccer league, such as the English Premier Leagues, which they do not. Which I found interesting, especially when I found out that the players do not get paid. You pay to watch matches, around €12 per person, but none of that goes to the players. Teams practice only 3 times a week and only play on the weekend. Many of the players have regular jobs. So really it’s a rec league with a huge following. Local and national news outlets report on the matches and they are televised. The match we attended was in the county of Tipperary, a three-hour drive one way from the Coast. To say that I was not excited about spending most of the day in a car driving through country with not a lot of photo ops, would be an understatement. It definitely colored my day. But looking back on it I’m glad that I went and experienced this part of the Irish culture. The match itself reminded me a bit of going to a little league game when the crowd would cheer anytime anyone scored a goal, it didn’t matter which team you supported. You cheered for any goal. That was a bit bizarre to me but over all at its core it’s a community event. A chance for people to get out and enjoy time with their family and friends. If you have the opportunity to see a Hurling match and it’s close to where you’re traveling, take in a game. I wouldn’t make it a destination that you set aside one whole day for but it it’s on your way, go. Until next time.